Horticultural grade Vermiculite has become a mainstay as a component of soil less growing mediums, as a soil amendment and in many other horticultural uses. 4 cubic foot bag. 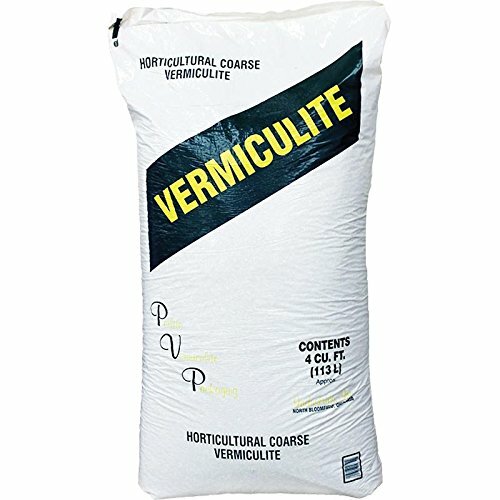 Vermiculite has the excellent property of improving soil aeration while retaining the moisture and nutrients necessary to feed roots, cuttings, and seeds for faster growth. Vermiculite possesses cation exchange properties, thus it can hold and make available to the growing plant ammonium, potassium, calcium and magnesium. When mixed with peat, composted bark, organic compost, or natural soils, vermiculite like perlite helps promote faster root growth, and gives quick anchorage to young roots. These mixes help retain air, plant food, and moisture, and releases them as needed by the plant. Because vermiculite is very light and easy to handle, it easily mixes with soil, peat, composted pine bark and other composted organic materials, fertilizers, pesticides and herbicides. View More In Garden Soil. If you have any questions about this product by PVP Industries, contact us by completing and submitting the form below. If you are looking for a specif part number, please include it with your message.